What to consider when choosing bed linens? Does that sound complicated? Trust us, it's not! We'll have more detailed articles on each of these aspects going further. For now, the following paragraphs will give you a quick overview and explain our choice of fabric, too. There is a number of popular fabrics used for bedding, including linen and silk. And while linen is something we plan to add sooner rather than later, we went for cotton as our base choice. Cotton is one of the oldest fabrics, one that humans have learned to master for their needs over the centuries. It also happens to be the most popular fabric for linens. The long tradition of growing cotton and producing cotton fabric allows us to pick fabrics and methods that guarantee highest quality results with not much need for experimenting. Cotton is just a solid starting point. It wears well, is durable and does not require much special treatment, like silk does. Just as importantly, cotton keeps the warm air in when it's cold and breathes very well when it's hot. It's suitable for pretty much any climate and season. As you might expect, there isn't just one kind of cotton. The first among equals is Egyptian cotton. Considered to be the best, it grows in Egypt (hard to guess, right? ), mostly in the Nile Delta where the climate is ideal for this plant. Egyptian cotton is grow and processed according to very strict requirements. It's a very strong and resistant fabric that also manages to be extremely soft to touch. For us to learn this was a "have cake and eat it" sort of moment! Egyptian cotton features long-staple fibre that is stronger and softer than other varieties and is more easily spun into thread. The longer the fibre, the stronger the fabric and the less chance it will come out of the weave. Length also ensures the possibility for higher thread count, which we will discuss shortly. What is interesting (and rather sad) is that while Egyptian cotton is considered to be the best, it's not the most popular among cottons. In fact, it makes up a small percentage of all cotton used in the world. A different side to this coin is that Egyptian cotton remains a luxurious and exclusive choice among the more mainstream variants. Thread count is the number of threads (both vertical and horizontal) woven into one square inch of fabric. A finer thread allows for higher thread count. The higher the thread count, the softer, denser and stronger the fabric and the higher the quality of the Egyptian cotton bedding. Just to compare, the thread count of a standard cotton fabric is at around 150 per square inch. Our fabrics start at 300. 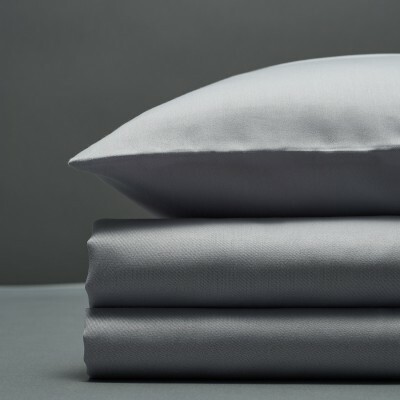 We found that to be a great balance between strength and softness, especially with Egyptian cotton which even at the same thread count is very strong yet soft. Increasing the thread count further brings a compromise in terms of softness and we did not want that. 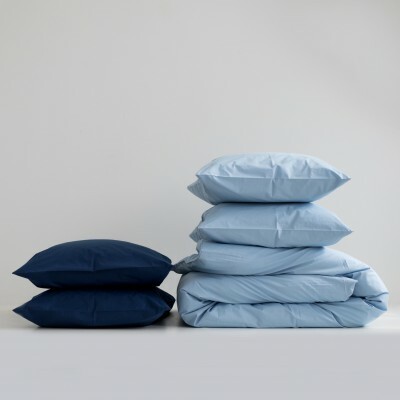 Percale or sateen - which one is better? 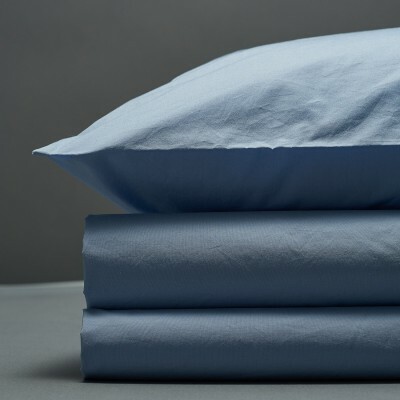 Both percale and sateen linens are made of cotton. The main difference lies in how the threads are woven together. 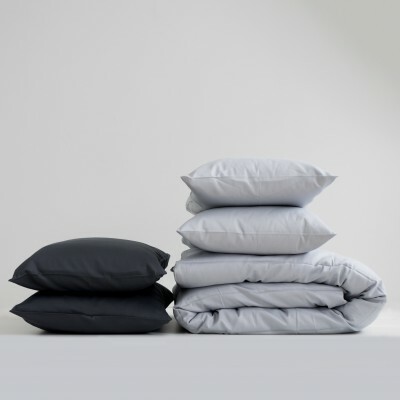 Percale has a crisp, airy feel and a more casual look thanks to its matte finish. It's a little warmer to the eye than sateen, a little more "homely". This impression increases with every wash if percale is of high quality. All of our percale fabrics are stone washed for added softness. It's also best not to iron percale, as the creases and folds only add to its casual look and feel. Sateen is more tightly woven. Its weave has more yarn surface on the face of the cloth than other basic weaves. This is the softer fabric of the two, has a more lustrous look to it and is rather silk-like to the touch. So the question is - which one to choose? Well, you may gather we love and use both. There is no clear answer, no one choice that is obviously better from an objective standpoint. At this point, it's important to know the difference and make the choice based on your personal preference. Because the fabrics are so different, you may consider trying both and switching them around. Learn more about what is percale and sateen. We've now covered all the basics regarding cotton. Though there is always room to go more in-depth - we certainly plan to do so soon - the information you read in this article should be enough to make an educated choice regarding your next bedding. Already know what you want? Head over to our online shop - we are pretty sure you'll find a few gems for your bedroom!